Since decade’s human kind on the planet earth has pursued unending war with Mother Nature, in particular with earth and its surrounding atmosphere, which has caused enormous environmental complications. The carbon emission footprint on earth’s biosphere is threatening to create greenhouse effect of monumental consequences across the continents regardless of socio-economical status, development and advancement in science and technology. Man may have reached Moon and Mars but on ground his very existence is under serious threat of extinction. Rapidly growing cosmopolitan phenomenon, and urbanization is engulfing agriculture and grasslands, unabated industrial growth, fossil fuel powered traffic and transportation is playing havoc with the atmosphere; pollution, fresh water resources be it lakes, rivers, streams or glaciers are fading fast and turning biodiversity upside down, thus resulting in global warming and climate change with unprecedented consequences from Kashmir to Kenyakumari, Asia to Africa, Antarctica to Australia, Europe to America’s. Kashmir, so called The Paradise On Earth, Switzerland and Venice Of Asia is no way unaffected; the changed life style we are witnessing in Kashmir since last two to three decades are clear indications of climate change. Our environmental behavior has gone through drastic overturns be it our lakes and wetlands like Wular, Dal, Anchar, Highgam are turning like solid waste dumping sites or the alpine glacial reservoirs from Thaajwas to Kolahai, Sheshnag to Siachin are melting faster than anticipated by researchers and environment scientists with unforeseen disasters and calamities. The precipitation in the form of rains and snowfall in recent years has altered immensely. Erratic climate and unfavorable conditions has taken it tool on ground with colossal cause and effect. When we hear the term global-warming, it seems like a farfetched idea especially when you are talking of Kashmir. This corner of the world, with its mountains, lakes, amongst glaciers and countless bounties of nature, seems untouched by global climate change. But is it the reality? Or are we looking at things superficially? Abdul Samad Khan (76), a Pashtun patriarch, who’s father at the advent of twentieth century migrated from Elahi, Khyber Pakhtoon Khawa (KPK Pakistan) to Kashmir valley, in 1912. His father, a trader, saw the climate in Kashmir suitable for farming, settled for life at Watlar Ganderbal amidst of the glacial troposphere. Besides getting the permanent citizenship, political rights, civic amenities, inherited large swaths of barren land. Once he saw the rising sun flashes its first rays on this plateau and dawning sun too radiates the land. He didn’t waste the time and made the mark. He saw the Kashmir climate, conditions and atmosphere aptly suitable for farming, thus started to grow unique fruit (Cherry) that was suitable and sustainable crop under the cold conditions of valley. This started his modern farming. He turned the wastelands into red and green bloomy orchids of Cherry. Thus gained name, fame and admiration among the common populace as a progressive Cherry farmer, besides lifting his family fortunes, also came handy for the whole area, who followed his Cherry cultivation with immaculate success and reaped great benefits. He would employ more than 8 people in his orchid to do the farming. Thus became a saviour in his own terms. But that was till few years ago. Now it is an altogether different story. After 76 years of prosperous life and educated family, usually Pashtoons in whole of the sub-continent are very hard at education, mostly the girl education is forbidden, also very conservative in thought and deed. But Samad Khan was a visionary of sorts, he made it amply sure to educate his progeny better way than even his local native Kashmiri populace would do. Samad Khan also became a pioneer of girl education in the area and braved against the all odds. He transformed the Pashtoon diaspora at Czhainthan Watlar from darkness to enlightenment through education and economic empowerment. However, today the same Samad Khan, is at the cross roads of uncertainty and dismay. Not because of political conflict of Kashmir or the war rattling’s between the two neighboring nations India and Pakistan but because of the changing climate of the region. Once a self-reliant Cherry trader, today Samad Khan is no more than a labor person, doing menial labor under the MNERAGA rural employment scheme of central government. Now he is become a daily wager, works for Rs 120 a day. Doing hard work of lifting heavy stones for shaping link roads in difficult terrain. He has to toil his blood and sweat to earn his livelihood even at the age of 76. The days of good times are gone, so is Cherry red decorum. Living is turning hard, because the erratic weather has taken its tool on his precious holding Cherry land. Mohammad Shafi Bhat, from Watlar, learned from Samad Khan‘s progressive efforts, thoughtfully went step ahead and started to grow Almonds on his 20-acre land orchid. Earned astonishing benefits, changed his family fortunes for better, but the dilemma of erratic climate change, glacial meltdown, climbing temperatures and acute water scarcity, today he is in, is forcing him to rethink again. Today, he too is out of options, what to do with the land, the farming legacy his father had left with him for prosperity and better days, for generations to come. Unmindful of the rest, Samad Khan’s Kashmir, known to the world as Switzerland of Asia, ultimate tourist destination, heaven of adventure sports and trekking, is heading for naught. Kashmir weather is so unreliable and inconsistent that since last four consecutive years, the snowfall in the plains is either non-entity or absolutely absent. 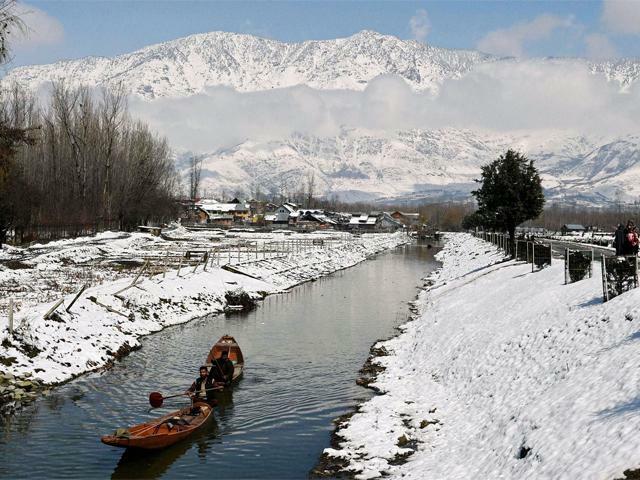 Kashmir known for its winter splendor is becoming dry. Even the Chiliakalan, the harshest part of the winter, is losing its sheen and shrill. Winters are passing as normal as in the plains of India. Weeks and months pass by, without rain and snow. Usually, it’s in mid December heavy snowfall is witnessed in whole of the Kashmir valley and the snow gods keeps the pace unto the mid March. All roads, electricity lines, water taps and pipelines are frozen in the chilling cold and mist, no icicles hanging from roof tops, communications disrupted. People were used to cut off from the rest of the country for weeks together due to the heavy snowfall. But those are bygone days. Today, the atmospheric patterns are changed, now even if it snows mildly, it’s in the month of late March or beginning of April, when the Kashmir spring is in its full bloom. 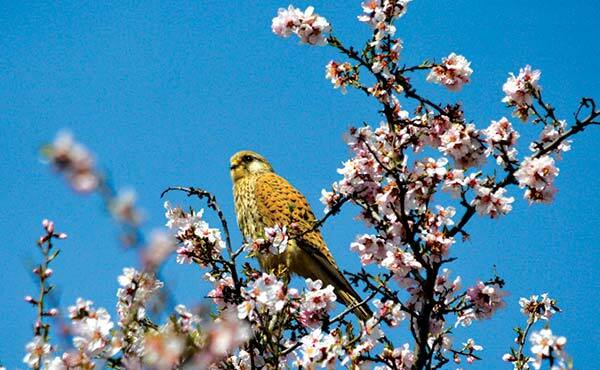 Cherry and Almond orchards are at their best, flourishing their red-white flowers, full of fragrance, attracting the honeybees from far of places known to the world for best Kashmir honey. But their heavenly world too gets crashing in a flash. Lively blooms turn into the frizzling morass. Life gets into sudden freezing death; moving bloom petals turn lifeless, the colour and the fragrance, turn bitter white. Whole of the orchids turn into shrouds. Lush green-yellow flickering mustard fields turn into frozen mutants. Deep mist and biting cold not only kills the honeybees but also kills Samad Khan’s hope. Besides Mohammad Shafi’s Golden Almond livelihood, which he cherished since decades, the enemy from within Kashmir, thinks otherwise, and destroys all the hopes. Haji Abdul Aziz Mir, 75, from Saffron fame Pampore Karewa’s, tricked nature for his entire life. Deceived all olds, besides Saffron, grows Almonds too in the same Saffron fields. In the double game predicament, Haji Abdul Aziz succeeded for more than 40 years. He cultivated the dual crop benefits till few years back, but now, the equation has changed, and times of complement are over. Changing climate is destroying his double crop yielding Saffron fields. Today he too is at crossroads, same way as Samad Khan and Mohammad Shafi of Watlar. His Almond trees have dried-up to the top with wide-open branch cracks, tree bark ruptures, trunks fractured. All seems to be gone for nuts. Tragedy has doubled and the misfortune circled. Due to the absence of rains, extremely crucial for Saffron cultivation, these Saffron fields of Pampore are turning barren and unworthy. Once regarded as the goldmines of Kashmir are fast depleting to unsavory. 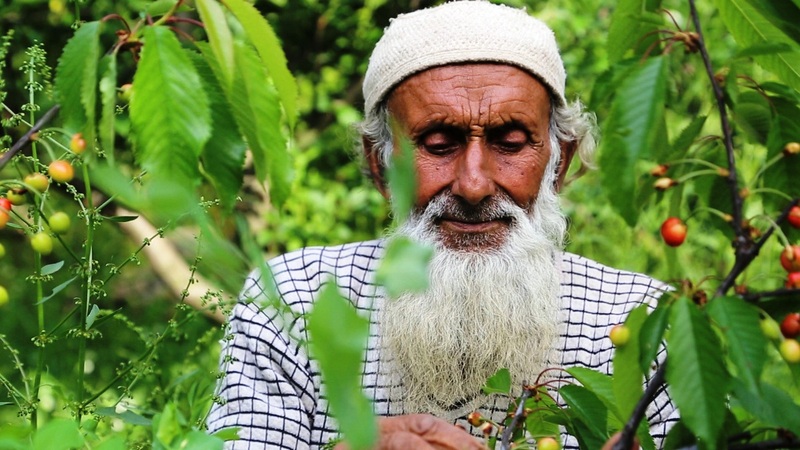 Mir and his family are now struggling for livelihood, and how to save their Saffron Orchards. 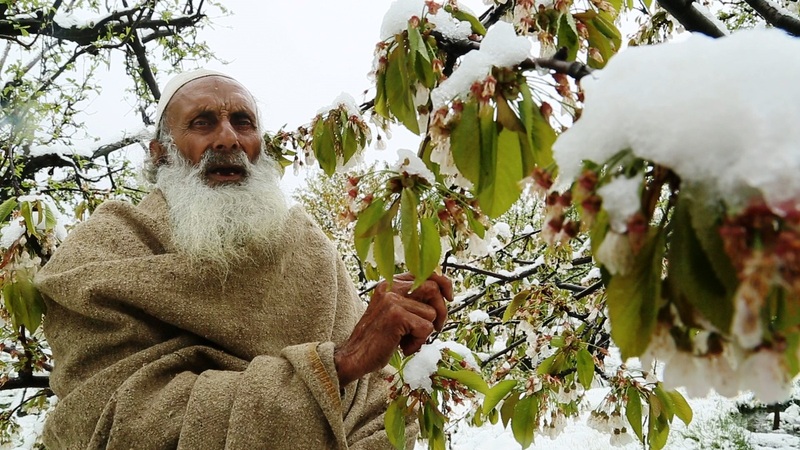 Once famed for his skill and grit in the whole area, Haji is besieged to live with the concept of changing climate called “Globalization” in modern terminology or Global Warming, though the Kashmir Chapter of Climate change seems to be the Global Warning, in many ways than anticipated. May be the days are not distant when winter games at the Gulmarg, the winter games capital of India, will be a dream, prettier truth. Climate change is a reality in practice rather just a catchy slogan. Kashmir, known for its snowy mountains, peaks, glacial streams and glaciers is its latest victim. The reasons are not difficult to find upon for this human made catastrophe. At plains human encroachments on lakes, water bodies, rivers and streams, most of all the wanton cutting of trees and deforestation of alpine jungles which are the primary source of rains and snow. The fast fading glaciers in the backyard of Kashmir Himalayan range has started to show its might and wrath with unthinkable consequences. Due to the human interference and calling, the glaciers are receding very fast at alarming pace. Despite the huge mountains, forests and glacial cover, Kashmir and its farming community is grasping for breath. Agrarian based economy is in great duress. Major three commercial crops of valley Cherry, Almonds and Saffron are feeling the heat right now and the next immediate victim might be the apple; the backbone of our state economy. September 2014, Kashmir Floods were just a trailer, how for natures fury and revenge can go for. It’s that erratic behavior of nature’s ferocity, which is turning the climate behavior upside down with its changing pattern. When rain is needed most, it becomes dry. When the snow is the must, it turns blank. When it’s not needed, it smashes everything within a twinkle of an eye. The strange behaviour of Kashmir climate is changing the discourse Kashmir and its inhabitants were used to. Samad Khan, Mohammad Shafi Bhat and Haji Abdul Aziz Mir’s hopes are dashing in dust. Nothing to fall back, they are wandering what went wrong. Answers are quite glaring and too oblivious to see. Witnessing snowfall on April 6, 2017 shocked everyone! The reason is climate change. December, January and February were the apt months for snowfall. Snow would get frozen. But since last three to four years these three months, stay warm. In March and April, when spring starts, it coincides with snowing in mountains. Then it reaches in plains. 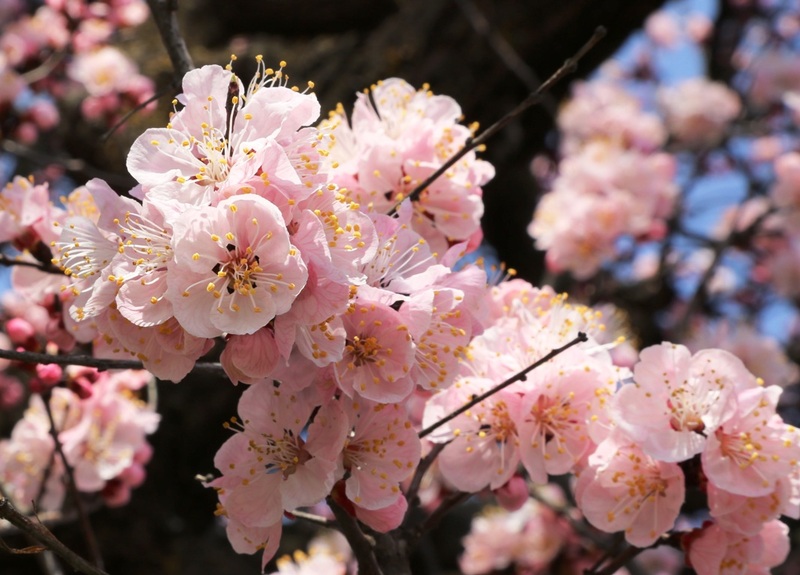 It harms the Cherry, Almond and Peach blossoms in orchards. Crops are lost. For the last five years, ‘untimely snowfall’ has been devastating to the crops. The times ahead may be very challenging. The new generation will be in difficult situation. Even for us, it will be quite tough living. Living conditions will become harsher. Climate change is not only effecting the crops but it brings along with it disasters of an unknown level. The September 2014 floods showed us how nature can turn furious and spare nothing that comes in its way. What we are witnessed in recent past looks like just the tip of an iceberg. The things that Kashmir is known for today may not even exist after a few years. The thought sends shivers down the spine but it is becoming true. (The author is a Srinagar based (National Awarded Documentary Filmmaker), his latest Documentary Film; Global Warning-Kashmir Chapter, to be released very soon. Other noticeable films of the filmmaker are: Shrouded Paradise (Kashmir Floods 2014), Pashtoon’s Beyond Taliban (Pashtoon’s From Kashmir to Pakistan), Saving The Saviour, (Wular Lake, Kashmir).